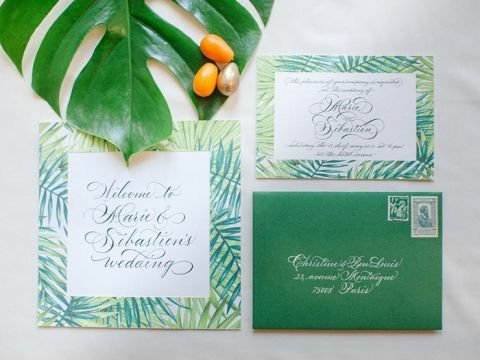 Luxurious Parisian style meets tropical greenery in this chic styled shoot! The stylish French capital has long been inspired by greenhouses and orangeries adding fresh botanical elements to the most stylish city on earth, and this lovely wedding inspiration manages to capture both the organic style and the elegance of Paris! 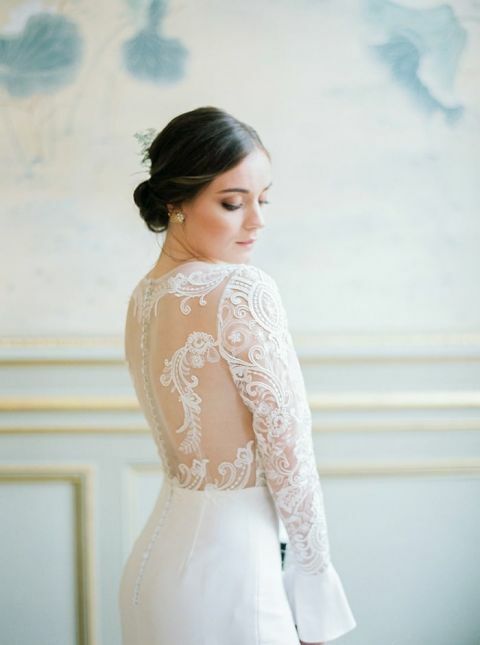 Sandra Åberg Photography and Fete in France were inspired by this lesser seen side of French chic! 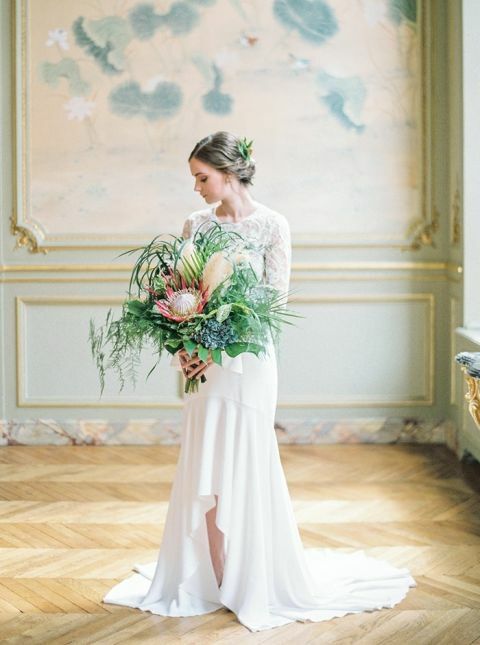 The couture style of the bride’s Rime Arodaky wedding dress added a chic element to the botanical greenery bouquet created by Madame Artisan Fleuriste! 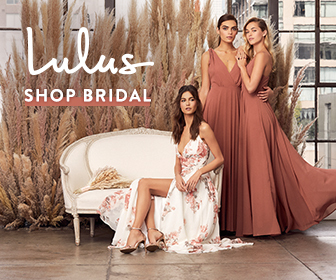 Feathery palms, romantic lilypads, bright kumquats added a hothouse touch to the crepe high-low dress with sheer illusion bodice and open back. 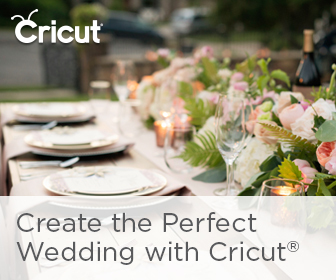 The luxe gold and mint palette of the Potel et Chabot inspired the table decor, accented with modern bohemian flowers from King proteas to pampas grass! Gold edged palm leaves on the wedding cake echoed the tropical greenery vibe that accented the rest of the wedding decor!